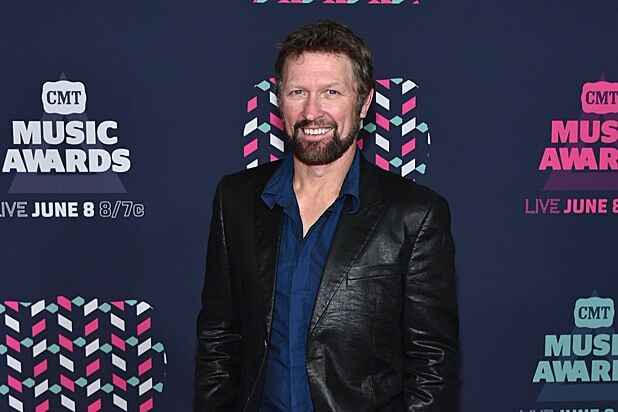 Nine days after Jerry Greer’s body was found in a Tennessee lake, country singer Craig Morgan has opened up about the devastating loss in an emotional Facebook post. “The loss of our son Jerry is the hardest thing we have ever had to endure as a family. Karen and I are so grateful for all of the wonderful people who have shown us unwavering support during this difficult time,” Morgan wrote Wednesday. His message to fans comes in the wake of 19-year-old Greer’s death by presumed drowning following a tubing accident on Kentucky Lake in Humphreys County. He was wearing a life jacket at the time, according to police, but the tragedy “was just as simple as hitting a wave and turning over and not coming back up,” according to Sheriff Chris Davis. Still struggling to come to terms with their loss, Morgan thanked everyone who had helped the family during this difficult time. “There are too many to name here, but we are especially thankful for the Humphreys County Sheriff and Fire Departments, the Tennessee Wildlife Resources Agency, and all the additional agencies and volunteers who turned out to bring our son home. We would also like to thank our friends, family members, and Jerry’s friends who have all shown us an immense amount of love and support,” the “My Kind of Livin” singer said. Morgan and his wife, Karen Greer, have three other children in addition to Jerry. 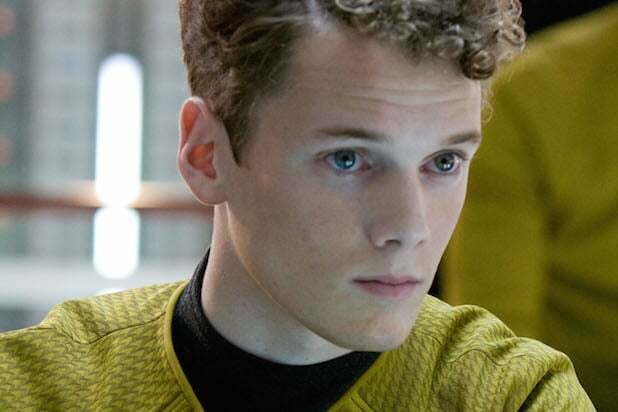 Anton Yelchin's sudden death last month has given the release of "Star Trek: Beyond" a heavy, unexpected dose of emotion, as fans will now be seeing him play Pavel Chekov for the final time. Deaths in Hollywood have turned several films into impromptu tributes to dearly-departed actors, serving as a final testament to their work. By far the most famous posthumous performance is Heath Ledger's chilling portrayal of the Joker in "The Dark Knight." Ledger's Oscar-winning work showed just how evil and dangerous Batman's greatest adversary can be, as he sought to destroy humanity's ideals and drag Gotham down into nihilistic chaos. Alan Rickman's final live action role was in the military thriller "Eye In The Sky." Rickman played Lt. Gen. Frank Benson, a British Army official who debates with Parliament members over whether they should attack a terrorist compound with a drone strike that might kill an innocent girl in the crossfire. Bruce Lee is now considered to be a martial arts legend around the world, but for much of his life his fame was mostly confined to Hong Kong. "Enter The Dragon," the first film released after his death in 1973, became his breakthrough hit. Bruce Lee's son, Brandon, was tragically killed while filming the noir superhero film, "The Crow." Lee played the titular dark vigilante, who is brought back from the dead by a mystical crow to hunt down the gang that killed him and his wife. The film was praised for its bold visual style, with Roger Ebert declaring that Lee had made a cinematic marvel that surpassed that of his father's. Another star whose magnum opus came out after his death was famed bad boy James Dean. He got an Oscar nomination and worldwide acclaim for his performance in "East of Eden," but the teen angst classic that he is most known for today, "Rebel Without A Cause," was released a month after Dean died in a car crash. Paul Walker, star of the "Fast & Furious" series, was also killed in a car crash, forcing the crew of "Furious 7" to retool the script. The film had Walker's character, Brian O'Connor, retire from Dominic Toretto's team and ended with Dom and Brian exchanging some parting words. Philip Seymour Hoffman had several films in the can when he died in February 2014, including a lead role in an adaptation of John Le Carre's "A Most Wanted Man." But his most prominent posthumous role was in "The Hunger Games: Mockingjay" as District 13 strategist Plutarch Heavensbee. The 1961 Arthur Miller drama "The Misfits" is a melancholy milestone in movie history. The film features Clark Gable in his final performance, as he died 10 days after filming. It was also the last role for Marilyn Monroe, who struggled with substance abuse during filming and died 18 months after its release. Modern critics consider "The Misfits" to be one of the finest films in the careers of both actors. Bela Lugosi is a legend of early horror films, which makes it somewhat ironic that his final project is one of the most infamous bombs of all time. Lugosi had been working with "Plan 9" director Ed Wood on other projects, but after Lugosi's death, Wood included some of the silent footage from them in "Plan 9" and gave him top billing. Orson Welles is best known for "Citizen Kane," but the last role of his career is utterly bizarre. Released nine months after his death, "Transformers: The Movie" featured Welles as the voice of Unicron, a planet-sized robot who seeks to consume the entire universe. James Gandolfini will forever be known for being the ultimate mob boss, Tony Soprano. But in his final film, "The Drop," Gandolfini played a crook who was far removed from Tony's confidence and power. He starred alongside Tom Hardy as Marv, a bar owner whose establishment keeps money for the Chechnyan mob. Along with Laurence Olivier, Spencer Tracy holds the record for most Best Actor Oscar nominations, with the ninth and final nomination coming for a film released six months after his death. That film was "Guess Who's Coming To Dinner," in which Tracy played the worried father of a white woman marrying a black man. The film became famous for challenging prejudice against interracial couples, as well as the limits of liberal tolerance. Peter Finch's final performance was as the mad prophet of the airwaves, Howard Beale, in the legendary satire "Network." Unlike the other films on this list, "Network" came out before Finch's death. However, Finch died before winning an Oscar for the role, making him the only actor to posthumously win an Oscar for a leading role.